A preventive program is a cooperative effort by the patient, dentist, and dental staff to preserve the natural dentition and supporting structures by preventing the onset, progress, and recurrence of dental diseases and conditions. Preventing dental disease starts at home with good oral hygiene and a balanced diet. It is continued in the dental office by the efforts of your dentist and dental hygienist to promote, restore, and maintain your oral health. 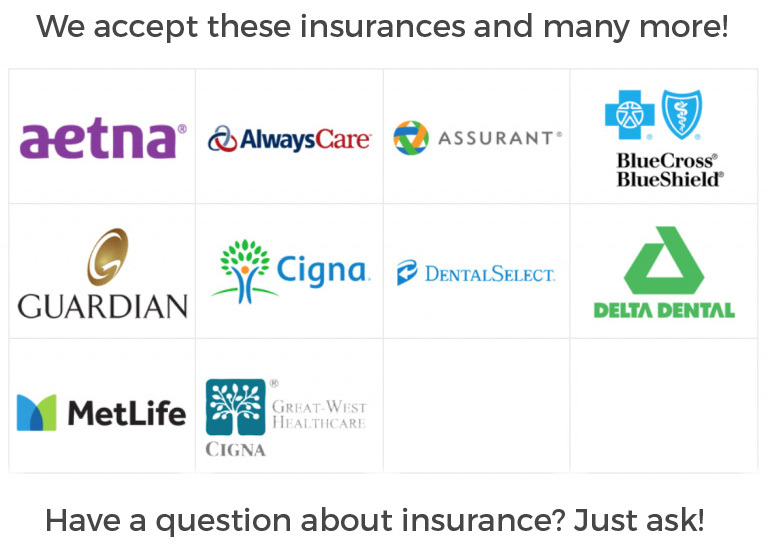 Prevention also includes regular dental exams, cleanings, and x-rays. Sealants and fluoride are also great preventive treatments that help protect the teeth. Prevention helps avoid serious and costly dental problems and is the key to having a  healthy, confident, beautiful smile. Examination of diagnostic X-rays (radiographs): Essential for detection of decay, tumors, cysts, and bone loss. X-rays also help determine tooth and root positions. Oral cancer screening: the face, neck, lips, tongue, throat, tissues, and gums for any signs of oral cancer. Gum disease evaluation: the gums and bone around the teeth for any signs of periodontal disease. Examination of tooth decay: tooth surfaces will be checked for decay with special dental instruments. Examination of existing restorations: Check current fillings, crowns, etc. Removal of calculus (tartar): Calculus is hardened plaque that has been left on the tooth for some time and is now firmly attached to the tooth surface. Calculus forms above and below the gum line and can only be removed with special dental instruments. Removal of plaque: Plaque is a sticky, almost invisible film that forms on the teeth. It is a growing colony of living bacteria, food debris, and saliva. The bacteria produce toxins (poisons) that inflame the gums. This inflammation is the start of periodontal disease! Teeth polishing: Remove stain and plaque that is not otherwise removed during tooth brushing and scaling. Dental radiographs (X-rays) are essential, preventative, diagnostic tools that provide valuable information not visible during a regular dental exam. Dentists and dental hygienists use this information to safely and accurately detect hidden dental abnormalities and complete an accurate treatment plan. Without X-rays, problem areas may go undetected. We are all exposed to natural radiation in our environment. The amount of radiation exposure from a full mouth series of X-rays is equal to the amount a person receives in a single day from natural sources. Dental X-rays produce a low level of radiation and are considered safe. Dentists take necessary precautions to limit the patient’s exposure to radiation when taking dental X-rays. These precautions include using lead apron shields to protect the body and using modern, fast film that cuts down the exposure time of each X-ray. The need for dental X-rays depends on each patient’s individual dental health needs. Your dentist and dental hygienist will recommend necessary x-rays based on the review of your medical and dental history, dental exam, signs and symptoms, age consideration, and risk for disease. A full mouth series of dental X-rays is recommended for new patients. A full series is usually good for three to five years. 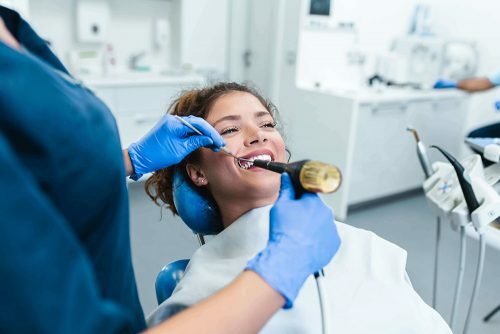 Bite-wing X-rays (X-rays of top and bottom teeth biting together) are taken at recall (check-up) visits and are recommended once or twice a year to detect new dental problems. A beautiful, healthy smile that lasts a lifetime is our ultimate goal when treating patients. Your personal home care plays an important role in achieving that goal. Your personal home care starts by eating balanced meals, reducing the number of snacks you eat, and correctly using the various dental aids that help control the plaque and bacteria that cause dental disease. 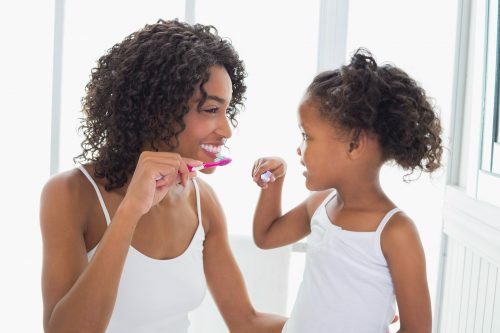 Tooth brushing – Brush your teeth at least twice a day (especially before going to bed at night) with an ADA approved soft bristle brush and toothpaste. Electric toothbrushes are also recommendeBrush your tongue to remove bad. They are easy to use and can remove plaque efficiently. Simply place the bristles of the electric brush on your gums and teeth and allow the brush to do its job, several teeth at a time. Flossing  – Daily flossing is the best way to clean between the teeth and under the gumline. Flossing not only helps clean these spaces, it disrupts plaque colonies from building up, preventing damage to the gums, teeth, and bone. 3. Curve the floss into a “C” shape around each tooth and under the gumline. Gently move the floss up and down, cleaning the side of each tooth. Rinsing   – It is important to rinse your mouth with water after brushing and after meals if you are unable to brush. If you are using an over-the-counter product for rinsing, it’s a good idea to consult with your dentist or dental hygienist on its appropriateness for you. Use other dental aids as recommended by your dentist or dental hygienist:  interdental brushes, rubber tip stimulators, tongue cleaners, irrigation devices, fluoride, medicated rinses, etc., can all play a role in good dental home care. Brushing and flossing are of paramount importance to oral hygiene. Though bi-annual professional dental cleanings remove plaque, tartar, and debris, excellent homecare methods are equally valuable. Proper brushing and flossing can enhance the health of the mouth, make the smile sparkle, and prevent serious diseases. Prevention of tooth decay - Tooth decay is one of the leading causes of tooth loss, and its treatment often requires complex dental procedures. Tooth decay occurs when the acids found in plaque erode the natural enamel found on the teeth. This phenomenon can easily be prevented by using proper home hygiene methods. Prevention of periodontal disease – Periodontal disease is a serious, progressive condition which can cause tooth loss, gum recession, and jawbone recession. Periodontal disease is caused by the toxins found in plaque and can lead to serious health problems in other parts of the body. Removing plaque and calculus (tartar) from the surface of the tooth using a toothbrush and from the interdental areas using dental floss, is an excellent way to stave off periodontal problems. Prevention of halitosis – Bad breath or halitosis is usually caused by old food particles on or between the teeth. These food particles can be removed with regular brushing and flossing, leaving the mouth healthier, and breath smelling fresher. Prevention of staining – Staining, or yellowing, of teeth can be caused by a wide variety of factors such as smoking, coffee, and tea. The more regularly these staining agents are removed from the teeth using brushing and flossing techniques, the less likely it is that the stains will become permanent. The teeth should be brushed at least twice a day, ideally in the morning and before bed. The perfect toothbrush is small in size with soft, rounded-end bristles, and is no more than three months old. The head of the brush needs to be small enough to access all areas of the mouth, and the bristles should be soft enough so as not to cause undue damage to the gum tissue. The American Dental Association (ADA) has given electric toothbrushes their seal of approval, stating that those with rotating or oscillating heads are more effective than other toothbrushes. Flossing is a great way to remove plaque from the interdental regions (between the teeth). 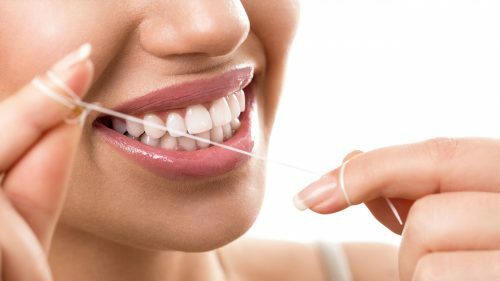 Flossing is an especially important tool for preventing periodontal disease and limiting the depth of the gum pockets. The interdental regions are difficult to reach with a toothbrush and should be cleansed with dental floss on a daily basis. The flavor and type of floss are unimportant; choose floss that will be easy and pleasant to use.